1) We welcome the direct investigation of Code on Access to Information and Archives Administration by the Office of the Ombudsman, as it help preserves precious information for the city’s history. 2) Open government and citizen’s right to access government information had long been an important means of implementation of democratic participation; corruption prevention; allowance of citizens to understand decision-making; protection of civil rights and practice of freedom of press; and information among countries. 3) Currently, the Hong Kong government has no system regarding archives administration. With the absence of Archives Law, government officials are not obligated to preserve, manage and publish documents that are related to social policy and people’s livelihood. The precious resources and important official documents and records are unprotected, hindering both the researches of public policy or any others conducted by academic institutions or non-governmental organizations and the Investigation of news feature. It affects the city’s development directly. 4) Up until now Hong Kong still hasn’t implement a democratic political system. Hong Kong citizens do not have universal suffrage for the Chief Executive, along with the abnormal “split voting system” of the Legislative Council, the accountability of government official is now unaffected by the general public. Documents of decision-making and minutes are not only the last defense for public surveillance, but also the government’s means to gain trust. 5) The current Public Information Law has no legal force. Government departments often reply citizens and journalists with the excuse of “no related information could be provided”. Even the minutes of the Estate Management Advisory Committee under the Housing Department or the usage of certain sports venues of the Leisure and Cultural Services Department were not published. Such departments operate with public funds and serve the public, yet they disregard the outside world and treat public surveillance as nothing. It is absurd that some officials blatantly alter minutes and attempt to bury the truth (e.g. Mr. Tang Ying Yen Henry requested to amend the minutes of Harbour Fest). Government scandals told us again and again that a concrete law is needed in order to preserve documents properly; to maintain the openness of officials; to allow public and media surveillance; and to ensure the accountability of officials. 6) Other than monitoring government, the Public Information Law could also protect citizen’s right. In recent years, government departments, especially the Police Force, had spent a lot of public funds to trace and monitor certain citizens. Involved citizens were unable to find out that they were being traced. The disposal of such collected personal data remained unclear. In some unreasonable circumstances, the innocent people who had their privacy invaded could not seek compensation. The power of Police Force is unmonitored, making the civil rights prone to serious violation. 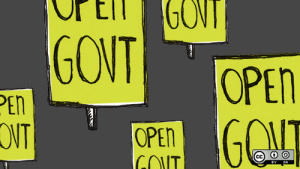 7) An open government allows the people to understand the usage of public funds and helps prevent corruption. For instance, the Police Force expended a lot in purchasing equipments and weapons against protesters. Media had asked for specific figures several times but the Police Force refused to disclose the details. Moreover, after the introduction of deputy secretary, political assistant and other appointed officials, the relationship between government and businesses has been even closer. Information of government projects and outsourcing should be more transparent, so as to prevent the occurrence of collusion and corruption. 8) With the development of information technology, public information could boost the development of information services. These days a lot of valuable information were controlled by different government departments. Such data were collected with public funds yet they were not shared among the public, the academia and the media. For example, Hong Kong Government has employed the LIDAR Light Detection and Ranging technology to collect a lot of local data, such that are so useful to terrain exploration, environmental detection and 3D city modeling that they could create a breakthrough of planning and mapping. The government, however, declined to share the data with universities and related industries, turning it into nothing but a pity. Also, the Environmental Protection Department owned loads of environmental information, such as pollutant emission. It refused to provide such information to environmental engineering firms, costing them a huge amount of resources to conduct private investigations. The public then lack the way to find out the real environmental status of Hong Kong. Besides, different government departments own and manage information of environment, trees, transportation, land use and census but the release of such information were limited. The applications of such were therefore obstructed. The release of such data could provoke creativity. With researches or applications (e.g. development of mobile application) by public and related industries, more industries would be created, bringing useful information and greater convenience to the people. 9) We believe that Hong Kong is in need of the legislation of the Public Information Law and the Archives Law, so as to create an open government and promote civic participation of government decision-making.